You are going to Watch RWBY Volume 3 Episode 5 online free episodes with HQ / high quality. Stream cartoons RWBY Volume 3 Episode 5 Online Never Miss a Beat. Penny Polendina and her teammate, Ciel Soleil, defeat Russel Thrush and Sky Lark of Team CRDL, allowing them to move forward in the tournament. Ruby goes to congratulate Penny, during which she says to Ruby that she wants to stay at Beacon. The next match is Weiss and Yang vs Flynt Coal and Neon Katt of Team FNKI, from Atlas. 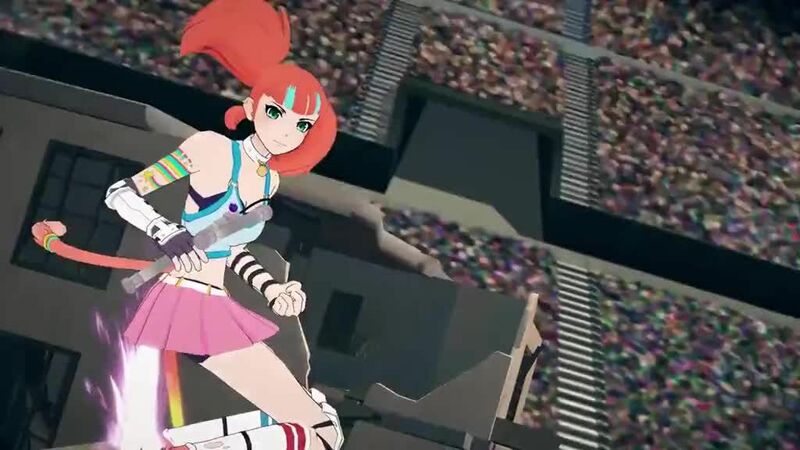 During the match, Weiss and Yang initially get overwhelmed from Flynt and Neon’s attacks, and Weiss sacrifices herself to save Yang, resulting in Yang to beat the two members of Team FNKI. Later on, Cinder finds out about Penny being a robot. Meanwhile, Qrow asks Ozpin if he found his “Guardian”, and Ozpin replies that he has found a candidate who’s “ready”. At the same time, Pyrrha is seen presumably heading to Ozpin’s office.